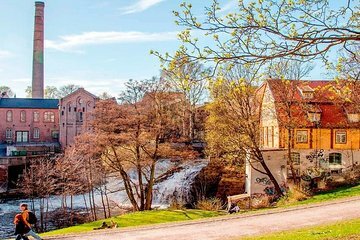 Enjoy a guided walk along revitalized Akerselva River, lovingly known as Oslo's 'Green Lung.' Learn how the river was a central part of the city's industrialization but has since been cleaned, with numerous parks and open spaces now lining its banks and former factories converted into art galleries and café spaces. Along the way you'll stop for a bite at Mathallen, a gourmet food court where you can find seafood, hams and cheeses, Asian street food and more.